A meteor shoots through the night sky like an arrow from Apollo's quiver. 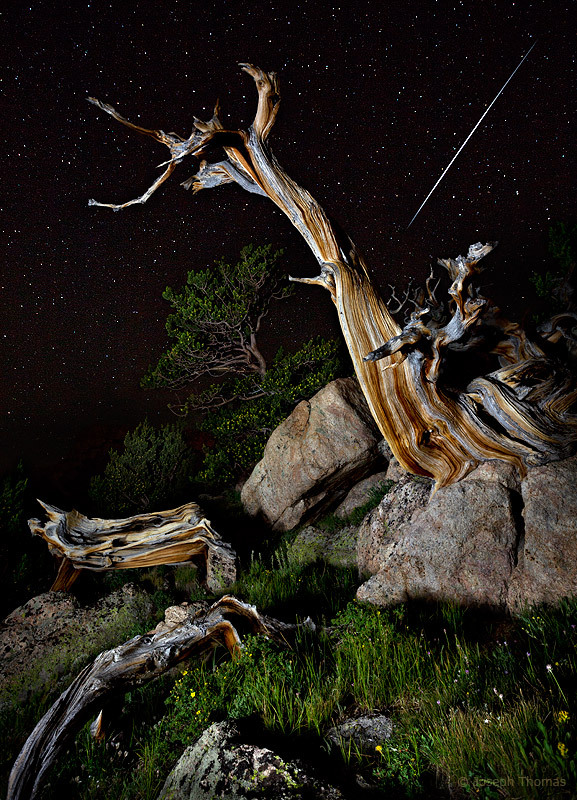 I set out on this dark August night to photograph the magic of the annual Perseid Meteor Shower. The meteors occur when the Earth's orbit travels through the dust cloud of Comet Swift Tuttle. While I captured many meteors on this resplendent night, this was the one shooting star that was perfectly positioned in the frame.